Perfumer Jahnvi Dameron Nandan invites you to join her with a response to this title. What do moonbeams smell like, and how can we photograph smell? These are just some of the questions she strives to answer as a world-leading perfumer. 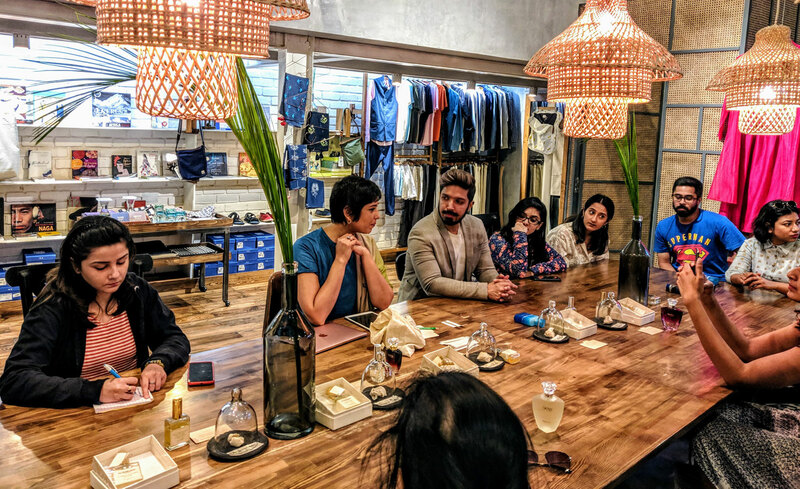 In what promises to be a moving sensory experience, Nandan will prize open the secretive and coveted world of perfume to reveal the extraordinary work involved, not just by the perfumers, but by your very own anatomy; the humble nose. Jahnvi Lakhota Nandan is an Indo-French perfumer and writer. She was born in India in 1975, in a family of prominent politicians and scientists. At the age of 17 she went to study architecture at the School of Art and Design, University of Tsukuba and later at Sophia University where she pursued a PhD in architecture. After writing her first book Tokyo Style File and creating Japan's first design show, she went to study expert composition in perfumery at ISIPCA in Versailles. 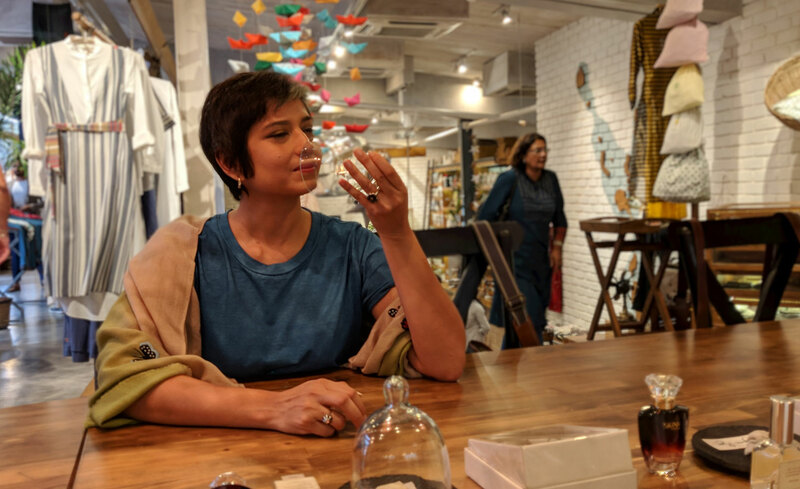 It is here that she finally found her creative voice and created India's first contemporary perfumery, The Perfume Library, and subsequently with the support of the French government Atelier Mnemist, a perfumery start-up in technology in Paris. Her latest book the best-seller, Pukka Indian, is a book on design that charts the course of what makes design iconic. Jahnvi imposes the invisible; striving to create an understanding of fragrance as art. Multiple inspirations have fuelled the imagination of Jahnvi centred on the long- standing ties between contemporary artists such as Hema Upadhyaya and Iris Touliatou and classical dance such as Bharatanatyam of which she is a proponent as well as her own unique double heritage of traditional oil based perfumery in both India and Japan. 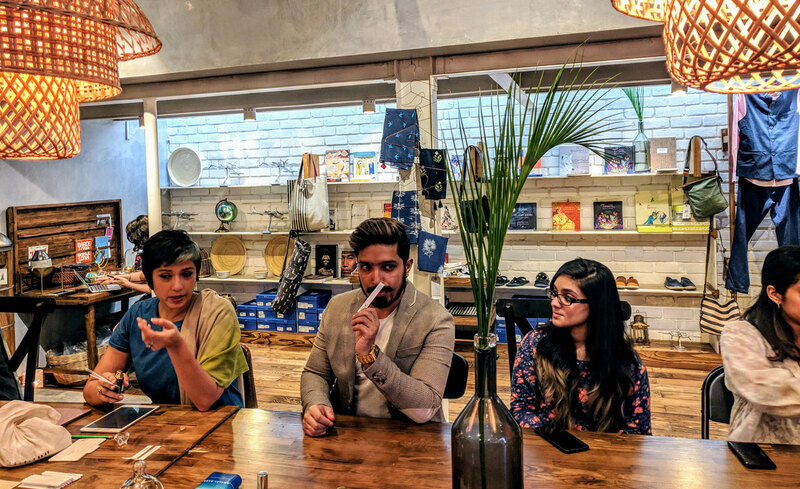 The works of art,photographs, archives, books and diverse objects stemming from the memories of smell are some of the multiple inspirations that fuel the universe and imagination of Jahnvi and helps give fragrances character. In trying to revive the perfumery traditions of India, she reveals a new vision, both intimate and public that result in the birth of unique fragrances through associations that highlight the cultural dimension of fragrances.